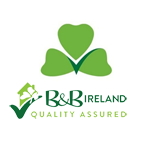 Many thanks to Anne of Elmdale Farmhouse in Ennis, County Clare for this Beef and Guinness Stew Irish Farmhouse B&B recipe. It is so easy to prepare and all the family will love it! 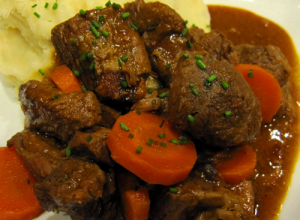 It’s a popular dish in Ireland and so most Irish pubs have Beef and Guinness Stew on their menu. Try it yourself before your visit to Ireland; you won’t believe how delicious it tastes! Tip: Serve with creamed mashed potatoes. Day two – the stew tastes even better!